I have not known of David Icke until recently; I owe the introduction to my partner who encouraged me to share a couple of videos with him. 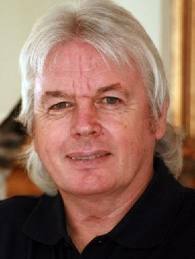 What I admire most about David Icke is the freedom of his mind. It will go anywhere and often does in bringing together bits and pieces (sometimes whole chunks) of our mysterious human (and other) reality on this planet. Do I believe everything? I don’t think it matters. And so I wish to begin the New Year, 2013, honoring his courage, humility (it may look like arrogance but that is only because he is free of caring what others think), persistence, and freedom of thought. He reminds me very much of Malcolm X, and, had Malcolm survived, I would have adored watching a conversation between them. Malcolm too became someone whose love of truth kept leading him in strange, sometimes shocking, directions. I remember how, in the earliest days especially, those of us who could not name or even quite imagine the evil we were swimming in, looked to Malcolm to bring his great liberated intelligence to bear. What a joy it was to have that. As it is to witness the comfortable freedom of thought in which David Icke lives and thrives. Such people are a rare gift to the planet; whatever one might think of whatever appears most weird to us. They are the reason, perhaps the only one, we humans progress. Dragged along at times by our curiosity if not our courage. One of my favorite videos is of David Icke at the Oxford University Debating Society in England three years ago. If you haven’t been exposed to his thinking this is a good place to start. But perhaps I’m one of the few who hasn’t till now been exposed. The best news: We are awakening.